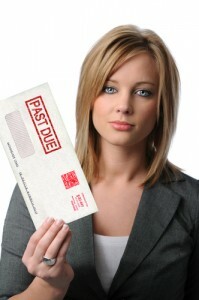 Want to Get Rid of Bill Collectors? Follow These 5 Steps (Pt. 1) - Castle Rock Bankruptcy Attorney - Jon B. Clarke, P.C. When you miss one or more payments on a loan or other debt, creditors and bill collectors may start calling you and sending you letters to ask you about what happened and when they can expect payment. These calls and letters, while annoying, can also be highly stressful, especially when they may be coming from more than one creditor and/or you know you don’t have funds immediately available to make the payments they are requesting. While these steps can help you get rid of bill collectors, for more advice regarding debt relief options, contact Colorado Bankruptcy Lawyer Jon B. Clarke. Below and in an upcoming second installment of this blog, we will spotlight 5 steps that borrowers can take in order to get rid of bill collectors. If you would like more specific information and professional legal advice regarding your best options for debt relief, don’t hesitate to contact Denver Bankruptcy Lawyer Jon B. Clarke. Step 1: Keep records of each of your points of contact with bill collectors. The Fair Debt Collection Practices Act (FDCPA), which stipulates when bill collectors can and cannot legally contact you about your debt, is intended to protect borrowers from creditor harassment. For example, while the FDCPA specifically prohibits bill collectors from calling you before 8 am and after 9 pm, this Act also dictates that bill collectors cannot contact you at work if you have asked them to not do so and if you have hired an attorney (as all communications should go through your attorney). As you record your interactions with bill collectors, be sure to note details of when and how you are contacted (i.e., the date and time of the contact, as well as whether the point of contact is via phone or mail). Also note who you have spoken to and whether any potentially abusive or threatening language may have been used during your interaction. By documenting such details, you will be able to hold bill collectors accountable if they violate the FDCPA (and you can be entitled to compensation if your claims can be proven in court). Validation notes will officially detail the amount of debt that you owe and the creditor to whom you owe that debt. Bill collectors are legally required to provide borrowers with validation notes within five days of borrowers requesting them. If these validation notes are not provided within the specified time frames (or at all), it’s possible that borrowers may get off the hook for paying the specified debt and that bill collectors will likely not be able to contact borrowers any more about payment for this debt. Be sure to check out the second part of this blog for some more crucial information regarding how you can get rid of debt collectors when they are contacting you about unpaid debt.